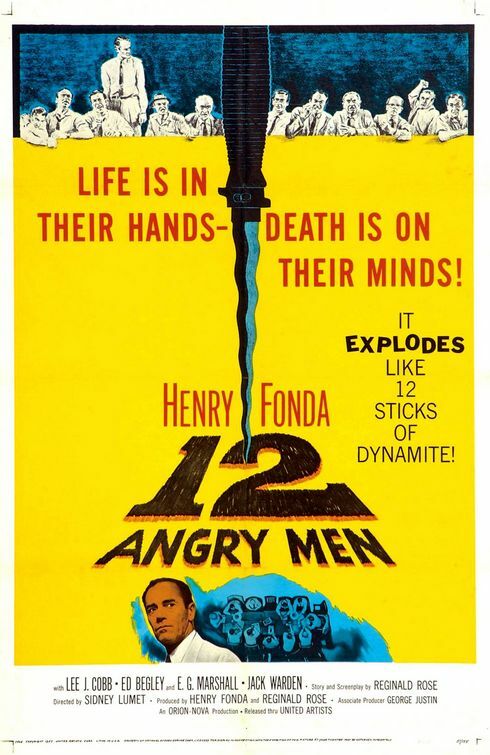 12 Angry Men: Life is in their hands — Death is on their minds! Claasic 1957 movie that truly stands the test of time. Part of my 4th year business course was to watch this movie and to see how the group dynamic can affect decision making. This movie is surprisingly entertaining 56 years after its release it is only 90 minutes long and it moves very quickly even though the movie doesn’t leave the jury room. Henry Fonda is the only juror who does not find the defendant guilty. He stresses that he does not know if he is guilty or not he just feels they should talk about it for a while. As the movie progresses the talk gets more heated and the jurors are forced to rethink every piece of evidence. Great story and acting, well worth the watch. Screenplay: I found the screenplay at Screenplay Explorer. If you liked this try: The Verdict, The Rainmaker, Northside 777.